Constructed in 1888, Windsor Gardens is an excellent example of a high Victorian gentleman’s residence. Located in the semi-rural, outer suburbs of late 19th century Sydney, the two-storey rendered brick house and four-storey tower must have been a spectacle at the time. 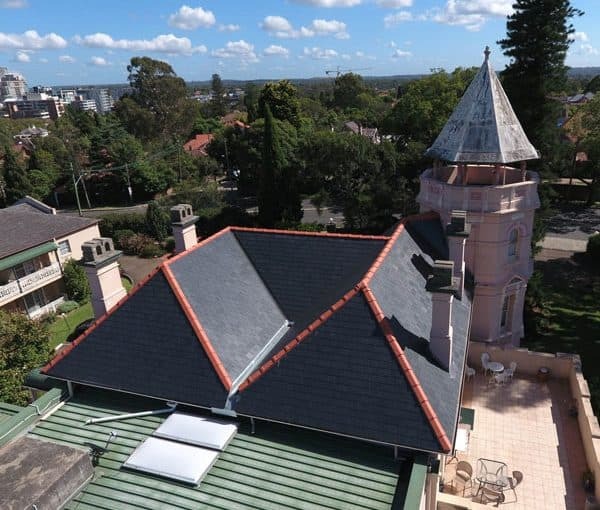 Slate Roofing Australia worked on the roof restoration for the historic Chatswood house in 2016, replacing the existing slate roof with slates from the famous Del Carmen quarry.